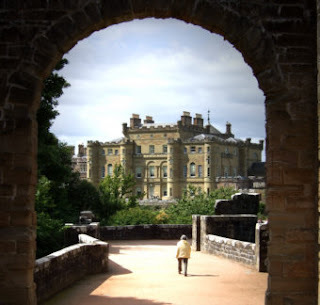 I wanted to shoot some large format pinhole today so thought we'd go down to Culzean for a walk and photo shoot. The day just got brighter and brighter, really very nice indeed. We walked in from Maidens to get a free entry and made our way to the visitor centre for a spot of lunch, a few stops along the way for some photos and sight seeing.